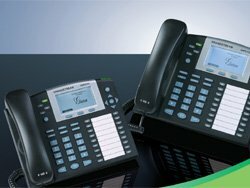 Grandstream has extended the portfolio of its GXP series enterprise SIP telephones with the introduction of the new GXP2110. 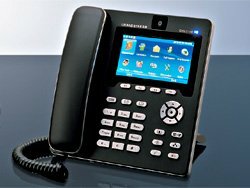 Based on Grandstream’s broadly interoperable SIP stack, “the GXP2110 SIP telephone delivers superior HD audio quality for crystal clear voice communications, packed IP telephony features and integrated Web applications, as well as support for highly flexible XML customization and strong security protection,” as the company says. Broadvox has announced that Grandstream Networks‘ new GXV3140 is the first IP Multimedia CPE device to deploy with Broadvox GO! SIP Trunking. According to the company, the solution enables businesses to save up to 70% a month over their previous TDM systems. 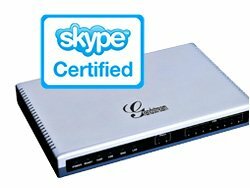 Grandstream, a manufacturer of IP voice/video telephony and video surveillance solutions and Skype announced that Skype for SIP interoperability testing and certification of Grandstream’s IP PBX and gateway has been completed successfully.